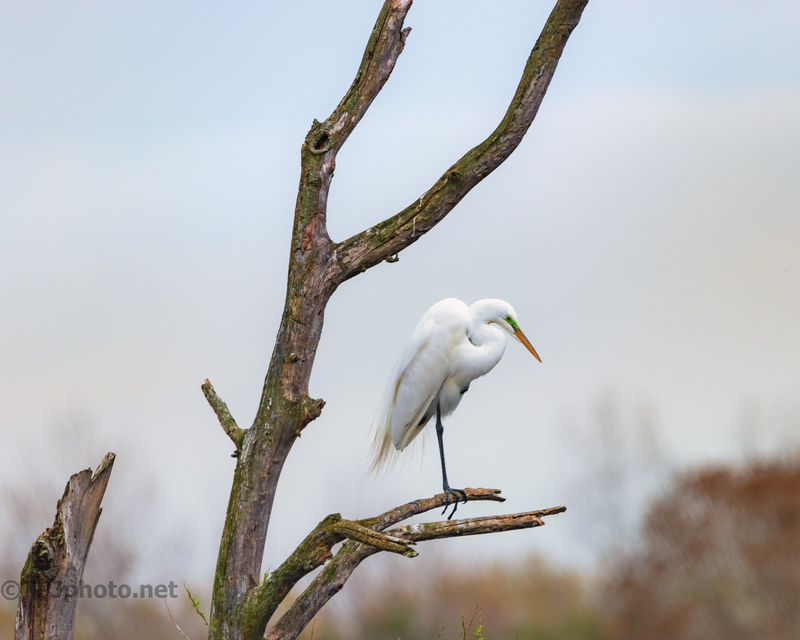 A classic Great Egret pose. This bird was on one of the highest branches on a rookery island. Below there was mayhem so this was a wise place to sit.